Christopher J. Foti, PA-C is the most recent addition to Advanced Allergy and Asthma, having joined the staff September 1, 2017. He earned his bachelor’s degree from Washington and Jefferson College, Washington, PA in 1995 and then graduated from Chatham University, Pittsburgh, PA in 1999 with a Master’s Degree in Physician Assistant Studies. 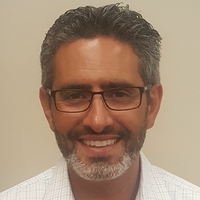 Previously employed by private dermatology practices, Christopher brings more than seventeen years worth of general medical and cosmetic dermatology experience to Advanced Allergy and Asthma. He is an NCCPA Board Certified Physician Assistant and was trained in the fields of dermatology, emergency medicine, family practice, internal medicine, general and orthopedic surgery, obstetrics and gynecology, pediatrics, and psychiatry. Christopher is a fellow of the American Academy of Physician Assistants, Pennsylvania Society of Physician Assistants, and Society of Dermatology Physician Assistants. For years, he served on the interview committee for Chatham University’s Physician Assistant Program. Over the past seventeen years, Christopher participated in the training of many PA students, medical students, and family practice residents. Christopher is responsible for many services at Advanced Allergy and Asthma to include diagnosing and managing various conditions, ordering and interpreting laboratory tests, writing prescriptions, and performing many procedures. Christopher is legally and ethically bound to practice dermatology under the supervision of Kumar Patel, MD. Christopher was born and raised in New Jersey but is very proud to call Pittsburgh/Western Pennsylvania his home since 1991. He and his wife Sarah reside in the South Hills area of Pittsburgh. Christopher enjoys music, baseball, American history, playing guitar, and most of all, being a dad to his two children, Lauren and Matthew.